﻿ Together with Bishops from Mindanao all Apostles met in a historical place “the Japanese Tunnel” a structure from 2nd World War and today a small Resort. The meeting was under the theme “manifestation of the spirit for the profit of all” Discussed were subjects from the recent District Apostle’s meeting in Zurich/Switzerland as well as social aspects like “Family… Read More. ﻿In line with restructuring of the Church in South East Asia the SEC has granted an amendment. 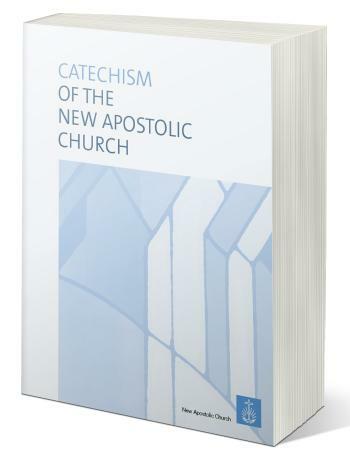 Formerly “….New Apostolic Church of Canada in the Philippines….” we are now registered as “….New Apostolic Church of South East Asia…”. The legal form of a Corporation Sole remains. ﻿ In a Divine Service conducted by Chief Apostle Leber the District Apostle Alfons Tansahtikno went into retirement. The so far District Apostle Helper Urs Hebeisen was ordained as his successor. 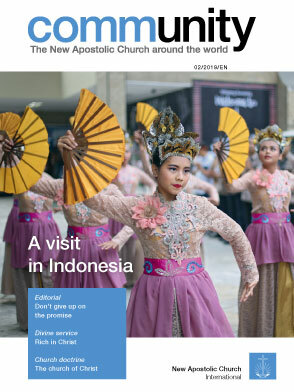 Thereby Indonesia and the rest of South East Asia have merged into one District Apostle Area. All countries are now united under one umbrella NACSEAsia (New Apostolic Church South-East… Read More. ﻿ Our good friend and Bishop finished his missionary commission in the Philippines. Ever since 1989 he visited the Philippines and occasionally also other South East Asian countries, 2 to 3 times a year with the commission of then Ap E. Wagner to ‘TEACH, UPLIFT AND STRENGTHEN‘. Adding up the total amount of time spent in Asia comes to a… Read More. ﻿ He stayed at Apostle Hebeisen’s home who with his wife enjoyed this special soul-care visit .The divine service was in Tayasan, some 2 hours from Dumaguete/Negros Oriental, in the public hall of the municipality over 1800 souls gathered. 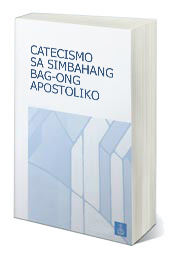 All 5 Apostles and 12 Bishops from the Philippines as well as Ap. Fred Wolf from Thailand were being hosted. After… Read More. ﻿ 27th July 2008: District Apostle Leslie Latorcai informs all congregations in South East Asia about the forthcoming merger in January 2009 of the South East Asian countries under his care with the DA-Area of Indonesia presently headed by District Apostle Alfons Tansahtikno. Over 30 years the New Apostolic Church Canada evangelized the asian region. Much investment was made and… Read More.